Consulting engineering firm Clark Dietz, Inc. has established a construction services group to enhance and support its existing transportation groups in Illinois, Indiana, and Wisconsin. Clark Dietz engages in transportation, civil, environmental, mechanical, electrical, and structural engineering with over 140 professional staff members in regional offices in Indiana, Illinois, and Wisconsin. Geotechnical Services, Inc. (GSI) has expanded its operations to include a new office in Fort Collins, Colorado. GSI provides geotechnical engineering services in the Midwest with seven other offices in Iowa, Kansas, and Nebraska. Heading up the Fort Collins branch office is newly named vice president Robin Dornfest, a 10-year veteran in the fields of geotechnical engineering and engineering geology and a Fort Collins resident since 2000. “I’m excited to lead GSI’s efforts here in Fort Collins,” says Dornfest. Dornfest has worked on a variety of projects throughout the U.S., including dams and reservoirs, large public works, earth retention and dewatering, and geologic hazard evaluation and mitigation. Geotechnical Services is a veteran-owned consulting firm specializing in geotechnical engineering, environmental services, professional drilling, construction materials testing (CMT), and special inspection services. Century Engineering, Inc. has announced its latest LEED Gold Certified project: The Gettysburg National Military Park Museum and Visitor Center. This certification marks the first museum in Pennsylvania and only fourth in the nation to achieve LEED Gold Certification. The $95-million Museum & Visitor’s Center accommodates approximately two million visitors a year. Century provided mechanical engineering services including the design of heating, cooling, and ventilation systems for the nearly 250,000 square feet of visitor galleries, exhibit space, food service areas, and theaters in the new museum, including ground source heat exchange technologies (geothermal heating and cooling system). This latter system is one of the largest on the East Coast and will help to reduce the annual energy costs of the museum by nearly 50 percent. Century Engineering is a multidiscipline engineering firm providing a range of design and construction engineering services to government agencies and various private industries throughout the United States. Century is headquartered in Hunt Valley, Maryland with offices in Pennsylvania and Delaware. Urban Engineers, Inc. is celebrating its 50th anniversary this year. In that time, Urban has engaged in regional planning, engineering design, environmental services and construction management. Areas of expertise include: aviation, bridges, highways, marine, program management, railroads, transit, traffic/ITS, environmental, urban planning, land development, and litigation support. According to D’Alba, the founders were intimately involved in all aspects of the business. Each principal leader was responsible for an area of the firm - Olson for administration and sales, D’Alba for highways, and Terzian for bridge and building design. D’Alba recalls, “We were the chief, cook, and bottle washer. While we promoted work, managed projects, and administered the business, we also took turns emptying the trash baskets.” In 1993, principal ownership was transferred to the current leadership duo of Edward D’Alba, P.E., president and Joseph McAtee, P.E., executive vice president. Today, Urban is a privately owned firm (ESOP) approaching 500 people in ten regional offices in seven states, with offices in Philadelphia, Mechanicsburg, and Erie, Pennsylvania; Cherry Hill, New Jersey; New Castle, Delaware; Baltimore, Maryland; Hartford, Connecticut; Dallas, Texas; and New York City and Buffalo, New York. 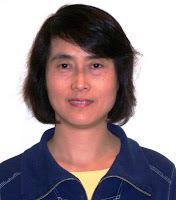 Energy Squared, an energy design consulting firm in North Brunswick, NJ, has introduced mechanical engineer Lisa Li as its director of mechanical engineering. A licensed Professional Engineer, Lisa is also designated as a LEED Accredited Professional. She brings to the company nearly 20 years of experience designing and optimizing HVAC systems in a variety of buildings both domestically and internationally. Before joining the Energy Squared team, Lisa worked as an HVAC Engineer for firms such as Flack & Kurtz, Syska & Hennessy, and M&E Engineers. In those positions, Lisa had the opportunity to work on technically sophisticated buildings. She has provided HVAC system design, control operation, and energy economy analysis for new and existing commercial, industrial, institutional, residential, educational, telecom, and hospital buildings. In her new position at Energy Squared, Lisa will support the team in providing sophisticated, energy-cost-reducing, and sustainable engineering solutions. Boston-based Vanderweil Engineers, a mechanical and electrical consulting engineering firm, has announced that James Foster has joined the Las Vegas office as a mechanical/plumbing designer. Foster has nearly 20 years of experience in building systems design and has supported numerous hospitality, educational, residential, and institutional projects in the region. A graduate of the University of Arizona with a B.S. degree in mechanical engineering, Foster’s expertise includes mechanical and plumbing design as well as smoke control design and quality control. He has worked on such large-scale projects as Wynn Las Vegas; Turnberry Tower III and IV; Mandalay Bay Hotel & Casino; Palms Hotel & Casino; the University of Nevada, Las Vegas (UNLV) Greenspun Hall;and several government projects for Clark County. Vanderweil Engineers has completed several notable projects since the establishment of the firm’s Las Vegas office six years ago. Major engineering projects have included the Palazzo at the Venetian Resort Hotel Casino, a 7.5-million-square-foot gaming and hospitality space that earned a LEED-NC Silver certification, and the Blueman Group Theatre located on the Venetian Casino Level adjacent to the Palazzo Hotel. Vanderweil also provided mechanical, electrical, and plumbing engineering services for the new UNLV Greenspun Hall. The digital, high-definition broadcast facility features five stories and 117,000 square feet of space and earned a LEED-NC Gold certification. Vanderweil’s Las Vegas office offers building services engineering, technology services, central plant design, building performance simulation, energy and carbon management, and commissioning services. R.G. Vanderweil Engineers, LLP specializes in mechanical, electrical, and plumbing system design, commissioning for buildings, and central heating and chiller plants, power generation, and transmission and distribution systems. In addition to a new Southern California office, the 330-employee firm has offices in Boston (headquarters), New York, Princeton, Philadelphia, Las Vegas, and Washington, D.C.
Baxter & Woodman, Inc., Consulting Engineers has been selected to provide engineering and environmental support services for the installation of high-speed fiber optic networks for several agencies. The projects are being funded in part through grants from the Broadband Technology Opportunities Program as defined by the American Recovery and Reinvestment Act of 2009. The program distributed $4.7 billion to provide affordable high-speed broadband connections to schools, healthcare providers, libraries, higher education, emergency services, local governments, and other anchor institutions in underserved areas. A portion of the network will be available to private industry to help attract and retain business. The network will also create opportunities to expand and improve residential broadband. · Preparation of an environmental assessment and wetland permitting for the installation of approximately 140 miles of fiber throughout DeKalb County, northern LaSalle County, and western Kane County in Illinois. This project is being led by DeKalb County. · Preparation of an environmental assessment, outside plant engineering, and wetland and construction permitting for the installation of approximately 740 miles of fiber optic cable in a 23 county region in southern Illinois. This effort is being led by Clearwave Communications. · Preparation of an environmental assessment for Sho-Me Technologies of Marshfield, Missouri. Sho-Me will install approximately 500 miles of fiber optic cable in a 30-county area. · Preparation of an environmental assessment and wetland permitting for a broadband network that will spread across nine counties in northwest Illinois. Northern Illinois University received one of the largest grants in university history – $68.5 million to develop this project which includes extending broadband fiber optic to Whiteside, Stephenson, Ogle, Lee, Jo Daviess, Carroll, Winnebago, Boone and LaSalle counties in Illinois. The installation of broadband fiber optics should be completed within three years. Baxter & Woodman, Inc. is an employee-owned design firm that provides planning, design, construction, and technology services for water, wastewater, stormwater, and transportation facilities for municipalities, counties, and state agencies. Environmental, geographic information systems (GIS), water and wastewater operations, and advanced technology needs complement the firm’s civil engineering expertise. Clients are served from nine regional offices in northern Illinois and southern Wisconsin. 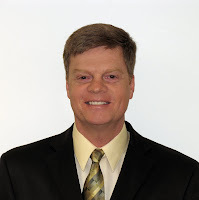 Jim Cloonan, P.E., has been appointed industrial/commercial business line leader at MACTEC Engineering and Consulting, Inc., working out of the company’s Greenville, SC office. Cloonan brings to MACTEC more than 26 years of experience in designing air, wastewater, groundwater, and hazardous waste treatment systems. Duties have included remedial investigations under federal and state regulatory requirements and developing alternative treatment designs for hazardous waste sites. Clients he has worked with over the years include International Paper, ITT, Rayonier, SCDHEC, and Syngenta. Cloonan is a registered Professional Engineer in Alabama, Florida, North Carolina and South Carolina. He received a Bachelor 's degree in chemical engineering from Rensselaer Polytechnic Institute, a Master's degree in environmental systems engineering from Clemson University, and a Master of Business Administration degree from Clemson. Based in Alpharetta, GA, MACTEC is an engineering and design, environmental, and construction firm focused on four strategic business lines: industrial/commercial, infrastructure (transportation and municipal), energy, and federal. MACTEC’s 2,700-plus employees work from over 70 offices nationwide. IBE Consulting Engineers in Los Angeles, CA announces the launch of IBE Lighting, a new in-house department that offers comprehensive interior and exterior lighting design services from earliest concept development through installation. Seeking a balance of utility, sustainability, and aesthetics, IBE Lighting develops designs that integrate lighting into a project’s architecture and complements the surrounding landscape. For each project, IBE Lighting’s work is supported by the team’s knowledge of architectural planning and building systems engineering, boosting the functionality of the lighting design program. IBE Lighting is overseen by lighting designers Hank Dahl and Stephen Bakin, whose combined expertise represents more than 50 years experience in architectural lighting design. They share a commitment to devising illumination and lighting control schemes that are as high-performance and energy-conscious as they are visually and environmentally pleasing to building architects, designers, owners, operators, and users. While operating independently, IBE Lighting can draw on the resources and talents of IBE Consulting Engineers’ MEP engineers, LEED Accredited Professionals, and technology experts. Such integrated teamwork allows Dahl and Bakin to troubleshoot and resolve potential challenges more quickly and efficiently than a traditional lighting designer might, maximizing a scheme’s viability and sustainability. “It also frees us to dedicate more time to the creative aspects of identifying innovative solutions best suited to each particular built environment,” says Dahl, “and to seamlessly follow through to ensure they are installed as intended.” A senior associate at IBE Consulting Engineers, Dahl also has expertise in designing custom lighting fixtures and day-lighting analysis. He has been involved in lighting and schemes for large-scale projects including medical research facilities, academic buildings, entertainment complexes, and museums. One such project includes designing a range of advanced lighting solutions for the USC School of Cinematic Arts’ new Steven Spielberg/George Lucas Building in Los Angeles, CA. Facilities in the 200,000-square-foot complex include showpiece lobbies, administrative offices, theaters, classrooms, editing rooms, soundstages, and other production and technical rooms. For the project, Dahl also designed custom pendant and wall-mounted exterior and interior fixtures that met the architect’s (Urban Design Group) desire for period-sensitive Mission-style lighting, satisfied the University’s requirement that they be easily maintained, and exceeded the State of California’s energy code. Ongoing and on-the-boards projects for IBE Lighting include a new laboratory building for Scripps Institute of Oceanography at UCSD in San Diego (THA Architecture); a business and technology education center for College of the Desert in Palm Desert, CA (Steinberg Architects); Golden West Community College Learning Resource Center in Huntington Beach, CA (Steinberg Architects). Another in-progress endeavor is the upgrade and redesign of more than 400 Big Blue Bus stops for the City of Santa Monica (Lorcan O’Herlihy Architects), employing solar-powered canopies and LED lighting. Patti Engineering, Inc., control systems integration company based in Auburn Hills, Michigan with offices in Massachusetts and Texas, has been named a Siemens Solution Partner by Siemens Industry, Inc. The partnership goal is for both companies to work collaboratively to capture additional market share. "We have found that a long term relationship with Patti Engineering is valuable to Siemens. Their staff is highly proficient with our products and they consistently offer reliable and cost effective solutions," says Raj Batra, president, Industry Automation Division, Siemens Industry, Inc. "Our staff is very experienced with Siemens products," explains Sam Hoff, president of Patti Engineering. "This partnership validates our staff's expertise, and we look forward to working with Siemens as a partner." Patti Engineering's technical expertise in both electrical control and information systems allows customers a focused solution to their need for asset/energy management, distribution of various products, production information, and complex control applications. Founded in 1991, Patti's solutions are used for retail distribution, manufacturing plants, water/theme parks, libraries, law enforcement, military, municipalities, food industry, ice arenas, and college/universities. Stagnito Media, in collaboration with management consulting and research firm ZweigWhite, has identified the best civil engineering, structural engineering, multidiscipline A/E services, environmental service, and architecture firms to work for in its annual ranking of top industry firms. These outstanding employers were selected based on their commitment to provide a positive work environment and challenging and interesting work opportunities for their employees and for achieving high levels of employee satisfaction. A total of 79 firms, including 12 honorable mentions, were recognized for their efforts to create outstanding workplace environments. The full lists can be viewed at www.bestfirmstoworkfor.com/rankings.html. The Best Civil Engineering Firms To Work For and Best Multidiscipline A/E Services Firms To Work For are sponsored by CE News. The Best Structural Engineering Firms To Work For and Best Architecture Firms To Work For are sponsored by Structural Engineering & Design. The Best Environmental Services Firms To Work For list is sponsored by the Environmental Business Journal and CE News. Stagnito Media produces the Best Firms To Work For Summit and publishes CE News, Structural Engineering & Design, and Rebuilding America’s Infrastructure magazines. ZweigWhite enhances business performance for architecture, engineering, and environmental consulting firms with experts in strategy, mergers and acquisitions, business evaluation, ownership transition, human resources management, finance, marketing, market research, project management, and project delivery methods. In November, the Pennsylvania Department of Environmental Protection (DEP) will release new Chapter 102 Erosion and Sediment Control (E&S) program guidance. Significant changes have been made in the way E&S is managed. New thresholds, best management practices (BMP), and permit requirements are included in this guidance. The roles and responsibilities remain basically the same, but limits of earth disturbance are more guarded. This information is strongly suggested to be used and understood by municipal officials, real estate sellers, contractors, engineers, planners, landscapers, stone harvesters, loggers, farmers, and the citizens of Pennsylvania. The guidance developed by DEP, EPA, and others comes in response to federal and state laws. The federal law is the Clean Water Act (see www.epa.gov) and the state law is the Pennsylvania Clean Streams Law, Act 394 of 1937 (see www.state.pa.us). Sedimentation, whether man-created or natural, is the number one pollutant to our waters. Billions of dollars annually are spent on environmental problems caused by sediment pollution. The guidelines are provided to help control pollution caused by human activity. Anyone proposing earth disturbance in Pennsylvania is required by the DEP to develop and have on site an Erosion and Sediment Control Plan (ESCP). The ESCP is a diagram and description of work to be done over the life of the project. The U.S. Army Corps of Engineers announces the completion of two contracts that initiated construction of the proposed new “Poe-sized” lock at the Soo Locks, located on the St. Marys River in Sault Ste. Marie, MI. TAB Construction Company of Canton, Ohio, completed the installation of two coffer dam cells at the Soo Locks as the first step in creating a replacement lock at the Soo. The contractor used the $3,184,534 contract to complete construction of a coffer dam at each end of the Sabin Lock to allow for dewatering as the U.S. Army Corps of Engineers prepares for future construction. The coffer dams were constructed, in simple terms, by driving steel sheet piling, in a circular pattern, into bedrock then filling the cells with stone material. In addition, Kokosing Construction Company of Fredricktown, Ohio deepened the downstream approach channel for the proposed new lock with a $7,068,525 contract. The work was completed by Kokosing’s Durocher Marine Division of Cheboygan, MI. During the excavation process of the downstream approach, a combination of about 71,000 cubic yards of bedrock and overburden material was removed. Blasting was necessary to remove the bedrock material. The excavated material was placed in designated areas on the northwest pier, just past the International Bridge on Soo Locks property. “With the completion of these contracts, we move forward in beginning the replacement lock project using the funds that Congress has provided,” says John Niemiec, the Corps’ project manager for the replacement lock. “We look forward to receiving future funds which will be used to move this project to completion.” Key sectors of the U.S. economy depend on Great Lakes shipping, with many commodities flowing through the locks. In 2008, 8,461 vessels passed through the Soo Locks, carrying 80.6 million tons of cargo, mainly iron ore, coal, stone, and other bulk products. The Soo Locks are situated on the St. Marys River at Sault Ste. Marie, MI and consist of four locks, of which only two are operational, allowing vessels to transit the 21-foot elevation change at the St. Marys Falls. The two operating locks are the MacArthur and Poe, which were placed into operation in 1943 and 1968, respectively. The Davis and Sabin Locks were built during the World War I era and have exceeded their design life, and due to extensive wear and deterioration, they are out of service. The Poe Lock is the only lock at Sault Ste. Marie capable of handling the Great Lakes system's largest vessels, which account for more than 70 percent of the potential carrying capacity of the Great Lakes fleet. Due to the significant economic consequences of a disruption of service at the Poe Lock, the new lock would have dimensions and capacity identical to the Poe Lock, which is 1200’ x 110’ x 32’ deep with a 21.7' lift. The new lock would provide the redundancy needed to ensure continued and reliable passage through the St. Marys Falls while also addressing security and efficiency issues. Operation and maintenance of the Soo Locks falls under the jurisdiction of the U.S. Army Corps of Engineers, Detroit District. The locks have been a part of the Corps’ navigation mission since 1881. Ohio University has welcomed its fourth eminent scholar, Sunggyu K.B. Lee. Lee is the Russ-Ohio Research Scholar in Coal Syngas Utilization in the Fritz J. and Dolores H. Russ College of Engineering and Technology’s Department of Chemical and Biomolecular Engineering and Ohio Coal Research Center. Widely regarded as the top researcher in the United States in clean coal technology, syngas conversion to fuel, and functional polymers, Lee joined Ohio University from Missouri University of Science and Technology in Rolla, MO, where he was professor of chemical engineering. Lee is the author of 7 books and recipient of 29 U.S. patents and 80 international patents, which makes him Ohio University’s top patent holder. 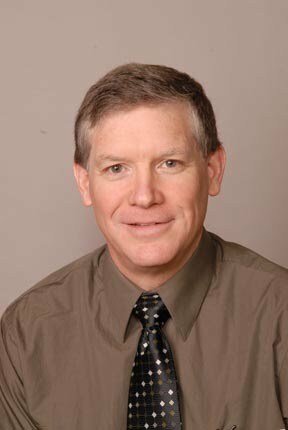 Dave Bayless, Loehr Professor of Mechanical Engineering and director of the Ohio Coal Research Center, said that Lee’s work – and the influence of his publications and patents on chemical engineering – will greatly strengthen success in fuel cell and clean coal technologies at the Russ College. The college already plays a role in the state of Ohio’s designation of Ohio University as a center of excellence in energy and the environment. “Dr. Lee is a visionary collaborator with a lot of energy to complement that,” Bayless says. “He has a chance to really influence current faculty – and those who will come in the future and their students – and that will have lasting effects on the College.” Lee is renowned for his work in alternative energies and materials. His research includes the development of a portable, small-scale generator of hydrogen for fuel cell applications as well as work on carbon dioxide mitigation. Studies include capturing carbon dioxide and converting it into liquid transportation fuels and developing highly functional polymers for defense applications such as military vehicles. A faculty member at The University of Akron from 1980 to 1997, Lee says joining Ohio University was like coming home. “Ohio is the home state for my family, since all three of our children were born in Ohio,” Lee says. “Coming back was not a hard decision for my family – but it may have been a challenge to several of my graduate students,” he says. Ten of those graduate students have followed Lee to Ohio University to continue their research. Four doctoral students from this group are now working toward degrees from Ohio University. The university was able to recruit Lee because of a $4.92 million grant in 2008 from the state of Ohio's Research Scholars Program, which aims to entice eminent scholars to conduct research at Ohio universities. Just two were awarded in the state, one at Ohio University and one at The Ohio State University. To create the position, the Russ College was required to match the grant. Funds from the recent $95 million bequeath from alumnus Fritz Russ and his wife, Dolores, provided this critical support. The gift is the largest charitable gift to any public university in the state of Ohio – or any public engineering college in the United States. The Defense Advanced Research Projects Agency is funding a proof-of-concept study at Virginia Tech to develop highly connected computer systems that operate in a wireless environment. Small handheld devices and other computers smart enough to work in a wireless setting would allow military personnel and other users to pool computing and communication resources for gathering intelligence more easily, analyzing information more efficiently, and ultimately making better decisions in a wide range of locations. “Our effort to build distributed computer systems that operate in a wireless network will entail the development of new algorithms, software architectures, novel application programming interfaces, and other innovations that impact wireless distributed computer systems,” says S.M. Shajedul Hasan, co-principal investigator on the project and research scientist in the Bradley Department of Electrical and Computer Engineering at Virginia Tech. The initial project will demonstrate the feasibility of wireless distributed computing using the Defense Advanced Research Projects Agency’s Wireless Network after Next (WNaN), an established program that looks to develop flexible and scalable communication networks that use very inexpensive yet flexible software radios. The Virginia Bioinformatics Institute at Virginia Tech is a bioinformatics, computational biology, and systems biology research facility that uses transdisciplinary approaches to science combining information technology, biology, and medicine. These approaches are used to interpret and apply vast amounts of biological data generated from basic research to some of today’s key challenges in the biomedical, environmental, and agricultural sciences. With more than 240 multidisciplinary, international personnel, research at the institute involves collaboration in diverse disciplines such as mathematics, computer science, biology, plant pathology, biochemistry, systems biology, statistics, economics, synthetic biology, and medicine. The large amounts of data generated by this approach are analyzed and interpreted to create new knowledge that is disseminated to the world’s scientific, governmental, and wider communities. Michael Buehner, SE has been made a principal of the firm. 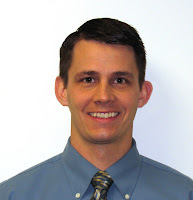 A graduate of the University of Utah, he has been with Reaveley Engineers for 12 years. 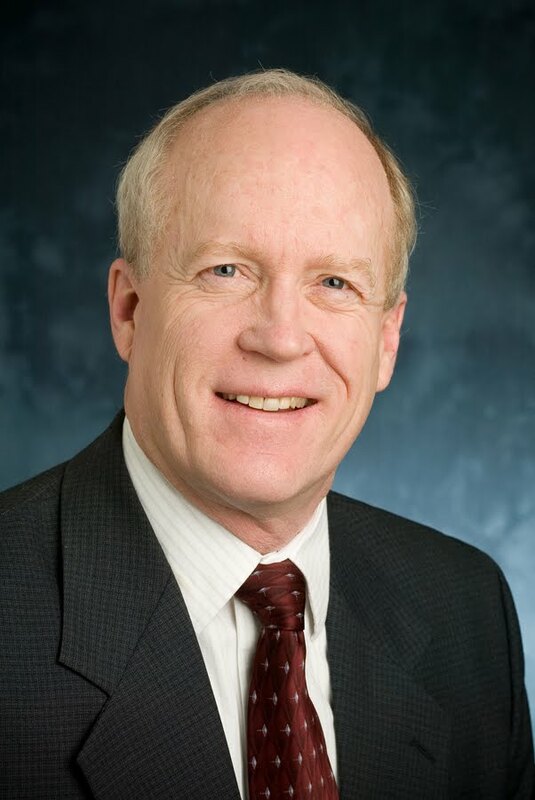 During that time he has worked some of Reaveley’s most significant projects including the Huntsman Cancer Institute Phases IIA and IIB, the University of Utah Warnock Engineering Building, the University of Utah Marriott Library Seismic Upgrade, and the Utah State University Bingham Entrepreneurship & Energy Research Center in Vernal, Utah. Justin Nadauld, SE has been with Reaveley Engineers for seven years and was made an associate of the firm. Justin is a graduate of the University of Utah. He has gained engineering expertise through the O.C. Tanner Flagship Retail Store Seismic Upgrade and Renovation, his extensive K-12 experience, and currently the Salt Lake City United States District Courthouse. Roger Nadauld, SE came to Reaveley Engineers as a Precast/GFRC specialist. He has 30 years experience in this highly specialized area and manages RE+A precast work. His portfolio includes the precast on the retail portions of the City Creek Center, 222 South Main, Eaglegate Tower, and Energy Solutions Arena. 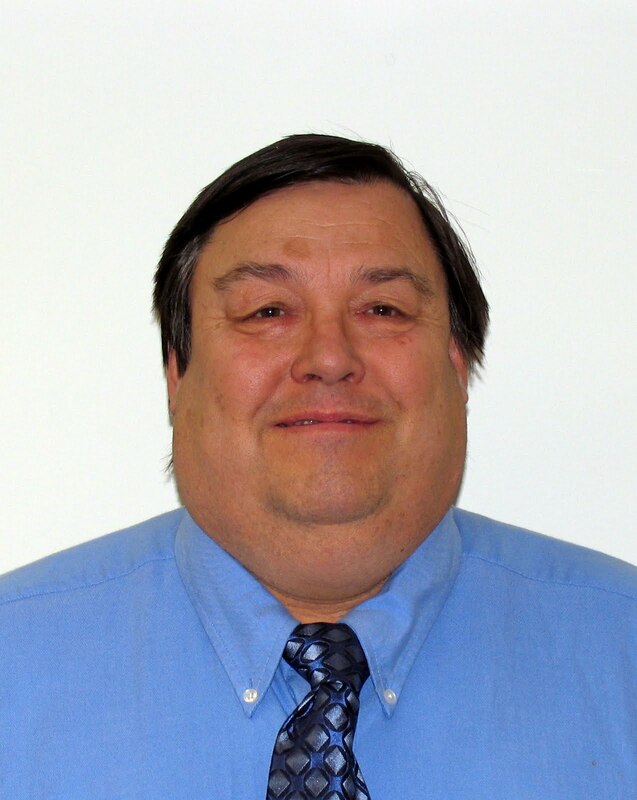 Bonestroo welcomes Dave Boyle as a senior civil engineer in the firm’s Waupun, WI office. Boyle brings more than 25 years of experience on a wide variety of civil engineering projects including municipal infrastructure, state and local transportation, site development, and facilities. His expertise includes stormwater drainage studies, watermain, sanitary sewer, and recreation. Boyle also brings extensive experience in planning, estimating, funding, designing and constructing these types of projects. Boyle earned a Bachelor of Science in Civil Engineering from Michigan Technological University and is a registered Professional Engineer in Wisconsin, Michigan, and Kansas. Melvin Stroble, Sr. has joined GAI Consultants as senior environmental manager in GAI’s Charlotte, NC office. In this role, he performs environmental assessments for electric utilities, natural gas and oil pipelines, and related energy industry companies. He also supports GAI’s business development throughout the Southeast, particularly the Carolinas. Stroble brings more than 23 years of environmental management experience in the electric and natural gas industries. He provides technical and management support on environmental compliance matters, including requirements of the National Environmental Policy Act, Resource Conservation and Recovery Act, Clean Air Act, and Clean Water Act. Stroble holds a B.S. in biology with a minor in chemistry from the University of South Carolina. Having operated for over 50 years, GAI is a 700-person, employee-owned, multidiscipline engineering and environmental consulting firm serving clients worldwide in the energy, transportation, real estate, water, municipal, government, and industrial markets from offices throughout the Northeast, Midwest, and Southeast. For more information about GAI’s history, services, and people, visit www.gaiconsultants.com. 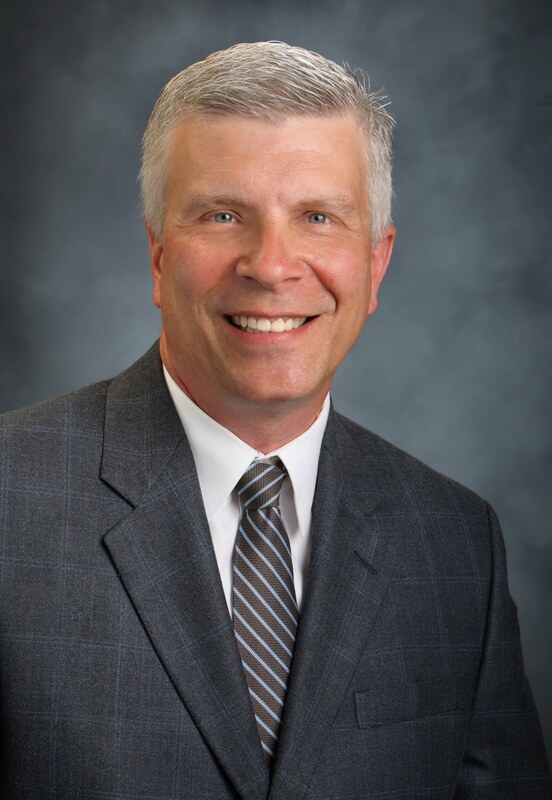 William Mielke, P.E., R.L.S., president and CEO of Ruekert/Mielke, Inc. has been named chairman of the board, replacing John Mielke, P.E., who has retired after spending 64 years as a director of the company he founded. William Mielke joined Ruekert/Mielke in 1971 and has expanded the firm and its services to include Geographic Information Systems (GIS), supervisory control and data acquisition design, landscape architecture services, and asset management services, in addition to opening offices in Kenosha and Madison. The firm has also established two divisions: Aquifer Science and Technology (AST), specializing in groundwater studies and investigations nationwide, and Municipal Economics & Planning (MEP), providing financial and planning services to municipalities. Michael Campbell. P.E., senior vice president and chief operating officer, has been named to the Board of Directors. 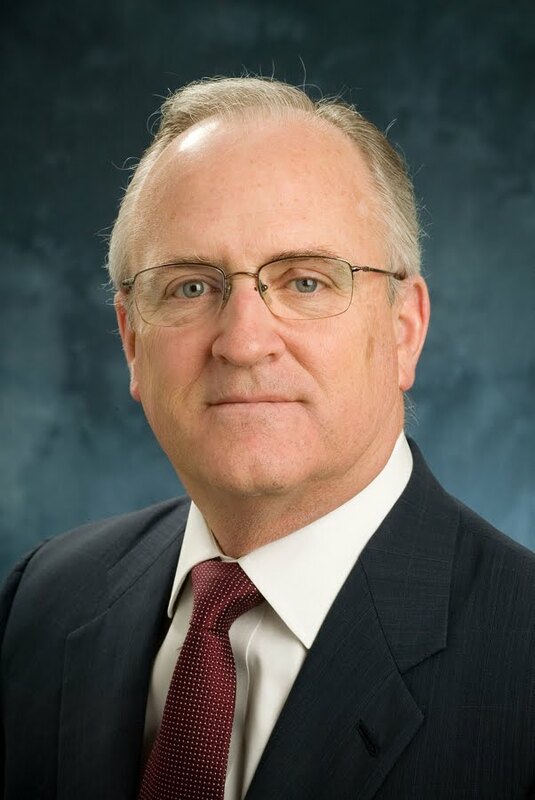 Campbell joined Ruekert/Mielke in 1984, becoming chief operating officer in 1999. Campbell has performed as project manager on a variety of municipal and private development projects including TIF Districts, industrial parks, downtown development, major sanitary sewerage, lake sewer, and storm water management. In addition, he is the firm’s expert on stream modeling, floodplain analysis, and small diameter pressurized sewer systems. He serves as the village engineer for the villages of Thiensville and Elm Grove. John Mielke and Frank Ruekert started moonlighting in their homes at night designing subdivisions for the housing market driven by returning WWII veterans. John came home from a commission in the Army Corps of Engineers to join Frank, then an engineer with the City of Waukesha, Wisconsin. Ruekert/Mielke was formed on May 6, 1946, with the company located in a two-room, upstairs office at 203 North Grand Avenue in Waukesha. In 1951 a building was constructed at 420 Frederick Street to serve as professional office space. There was one conference room, one office for both principals, and one wall telephone used by all employees. By 1955, the partnership became a corporation, and the firm concentrated on community sewer and water systems. Ruekert/Mielke assisted many communities in their development, such as the incorporations of the Village of Menomonee Falls and Oconomowoc Lake and the Cities of Brookfield, New Berlin, Muskego, and Pewaukee. The firm also designed sewer and water systems for all these communities as well as the majority of municipal wells and water towers throughout Waukesha County. Today, Ruekert/Mielke of Waukesha, WI is a multidisciplinary consulting firm offering engineering and municipal services. The firm assists clients with water and wastewater management, stormwater management, municipal and financial planning, landscape architecture, construction review services, GIS, and SCADA control system projects. Alpha Corporation has been selected to provide construction management services for the National Park Service for the rehabilitation/repair of the historic Independence Hall Tower, which once housed the Liberty Bell in Philadelphia. This project will arrest deterioration of the Tower due to water damage and replace and refurbish selected deteriorated elements including roofing, wood siding, decorative wood elements, balusters, and the copper urns on the tower. A new lightning protection system will also be installed. The tower, one of the earliest examples of Colonial Revival architecture, was designed by William Strickland and built in 1828, replacing the original tower, which dated from 1750. This project will be funded by the “American Recovery and Reinvestment Act of 2009”. In addition to full-time on-site CM, Alpha Corporation will provide special inspections, project controls, and contract administration during the construction,which will take approximately 18 months and will take place while Independence Hall is open to the public, requiring stringent safety procedures. This project will add to Alpha’s track record of engineering and construction management on Historic National Monuments and Memorials such as the Washington Monument, Lincoln Memorial, Jefferson Memorial, Jamestown Island, Ellis Island, Pentagon Memorial, etc. The Independence Hall Tower Project also represents one of twenty recent ARRA-funded NPS projects awarded to Alpha for CM services, totaling over $100 million in construction value. Alpha Corporation is a full-service consulting firm offering program/construction management and engineering services to government agencies, municipalities, institutions, private enterprises, developers and contractors. The firm includes professional engineers, program and construction managers, cost estimators, schedulers, and risk managers. Our experience encompasses project development and delivery: planning, design, construction, commissioning, operations, and maintenance for building, transportation, civil infrastructure, and utility/energy projects. The firm is headquartered in Dulles, Virginia and maintains multiple regional offices in the U.S. as well as three additional international offices - Dubai, United Arab Emirates; Jeddah, Saudi Arabia; and Bogota, Colombia. For more information, visit www.alphacorporation.com. Bay Design Group, an engineering, surveying, and land planning firm, has opened a new office in Morehead City, North Carolina. Jason Miles, P.E., a principal with the firm, and Bill Forman, P.E. are the senior consulting engineers for the company at their new location. Forman is a longtime resident of the Morehead City area and an expert in waterfront, coastal, and municipal engineering. Miles looks forward to moving his family to the “Crystal Coast” from the Hampton Roads region of Virginia. His expertise, gained through design and construction of engineering and development projects throughout Richmond and Hampton Roads, complement Forman’s experience and service in the local and regional communities of coastal North Carolina. Formed in 1996 from parent companies established in 1974 and 1982, Bay Design Group specializes in land and waterfront development, municipal, environmental and coastal engineering. The firm operates through office locations in Richmond, the Middle Peninsula, and Northern Neck areas of Virginia and their newest location in Morehead City, North Carolina.